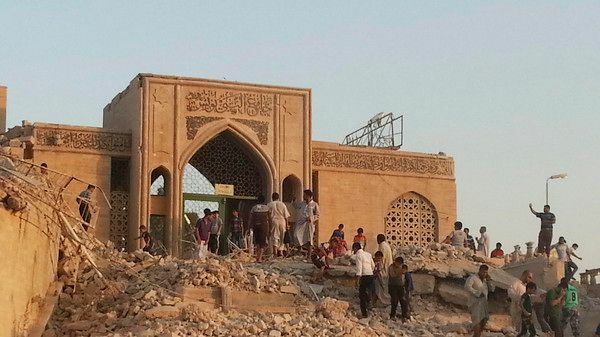 PARIS, September 30 (RIA Novosti) - The cultural heritage of Iraq, large parts of which are seized by the Islamic State (IS) terrorist group is in urgent need of protection, UNESCO said in a press release published Tuesday. “The need for action is paramount. Iraqi cultural sites, like Jonah’s Tomb in Mosul, Assyrian Palaces, churches and other monuments, are being destroyed and looted. Concerns are mounting that pillaged goods will be trafficked internationally. Protecting this heritage, even in conflict, is imperative,” the statement, issued after the meeting organized by French and Iraqi delegations to UNESCO reads. The director of the Baghdad Museum Qais Hussein Rashied confirmed that “one of the Islamic extremist groups” tried to sell antiquities to Europe and Asia. “These sales are financing terrorism,” he was quoted as saying in the press release, adding that some of the relics are as many as 2,000 year-old. UNESCO has also requested the UN Security Council to prohibit all commercial activity involving Iraqi and Syrian cultural objects. On Monday, the participants of the UNESCO meeting said that the IS jihadists, who consider old relics and monuments “idols,” are involved in trading the antiquities for financing. There have also been numerous reports on the IS blowing up objects of Islamic, Christian and Jewish cultural and religious heritage. The IS insurgent group has seized vast territories Syria and Iraq, proclaiming an Islamic caliphate. The United State started to conduct airstrikes against the jihadists in Iraq back in August and extended the attacks to Syria last week. US forces have been joined by France and a number of Arab countries.